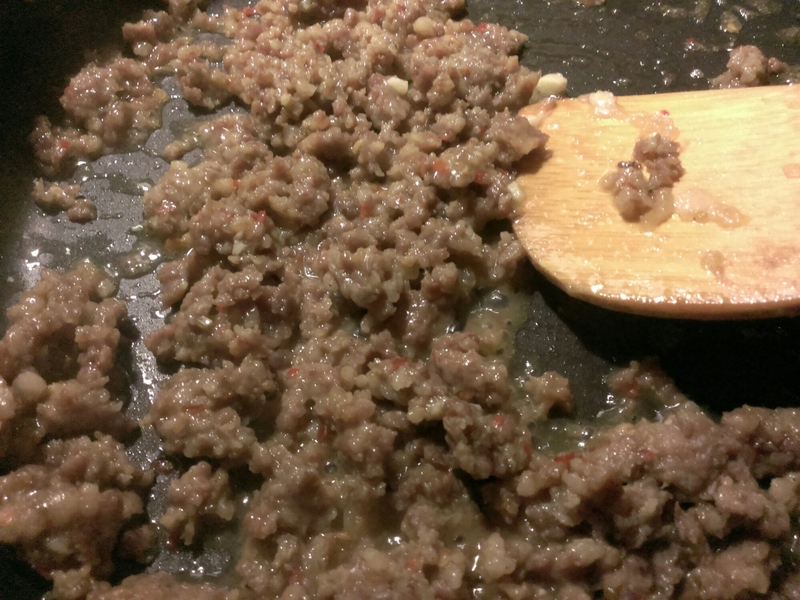 Add Italian sausage, stirring and chopping until fine and brown. Add water, cover, turn heat to medium high until mixture comes to a boil. Reduce heat to medium low for 20 minutes. 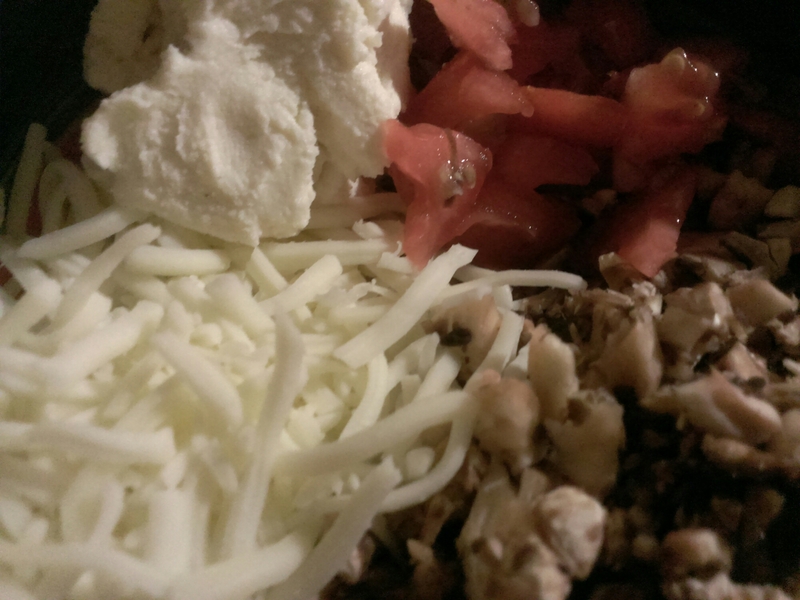 Chop mushroom stems and scrapings and add to bowl with tomato, ricotta cheese and half of mozzarella. 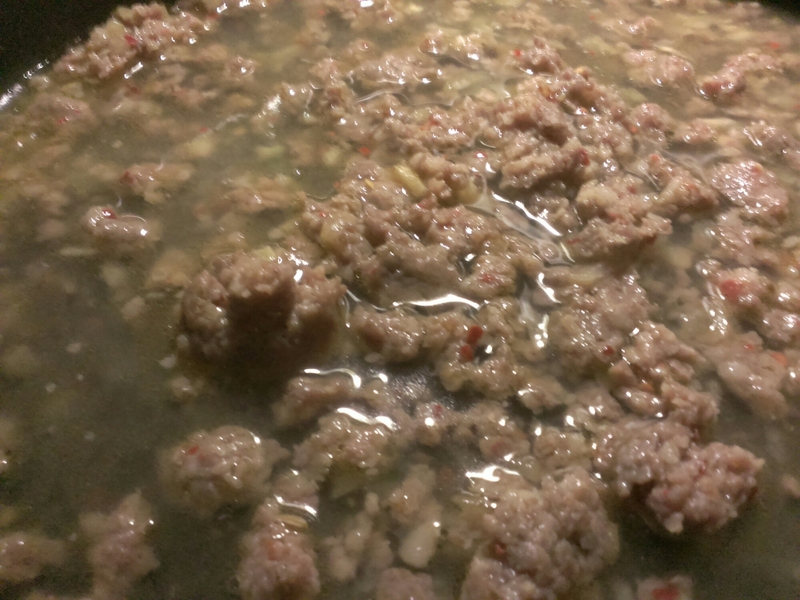 Remove cover from sausage, increase heat to medium high and cook, stirring very frequently, until all water has evaporated. 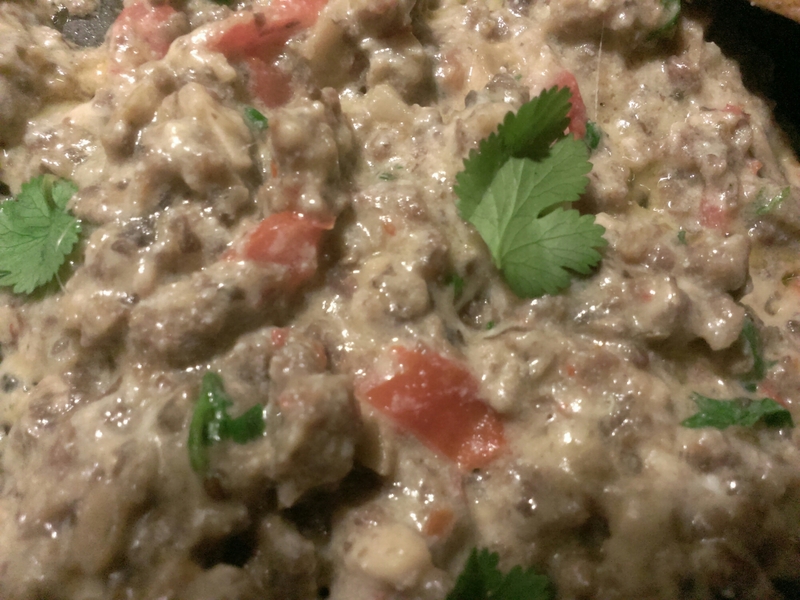 Add remaining ingredients save cilantro, pretzels and half of mozzarella. 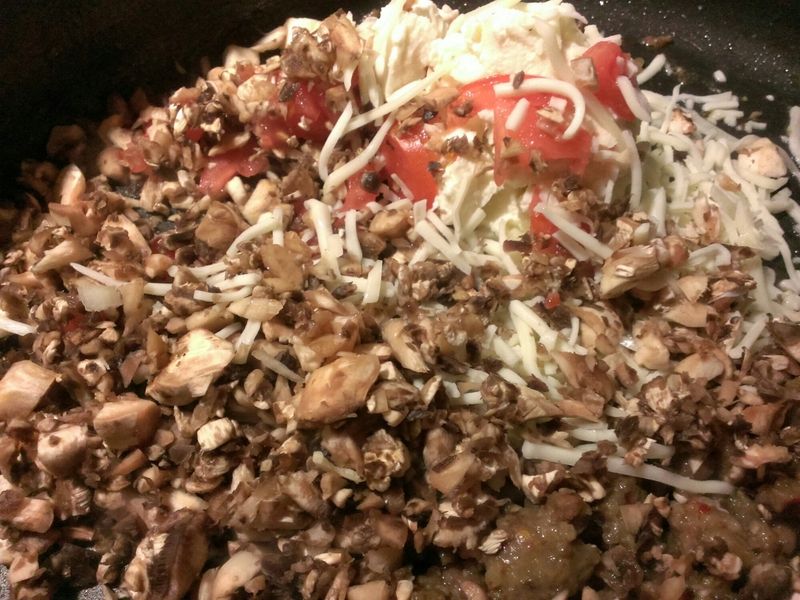 Cook until cheese is melted and tomatoes soft (5-8 minutes). Add cilantro. 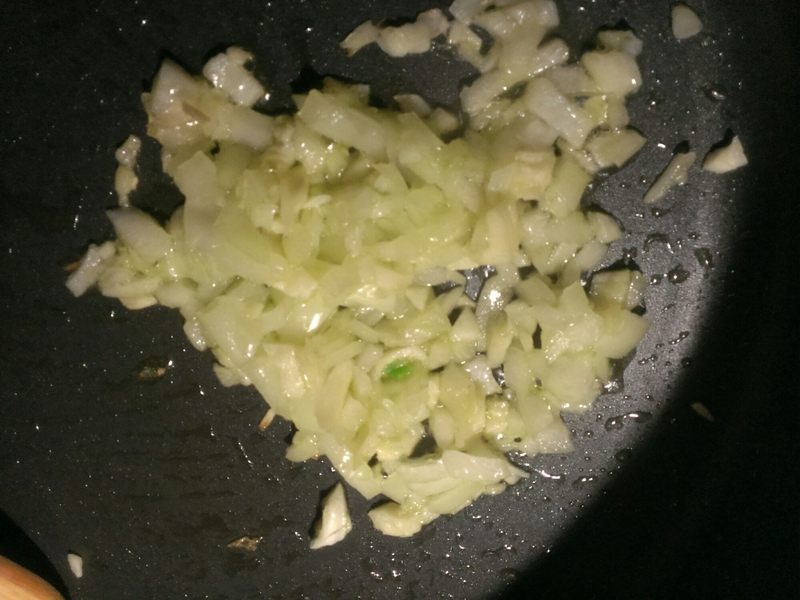 Cook an additional 5 minutes, stirring constantly. 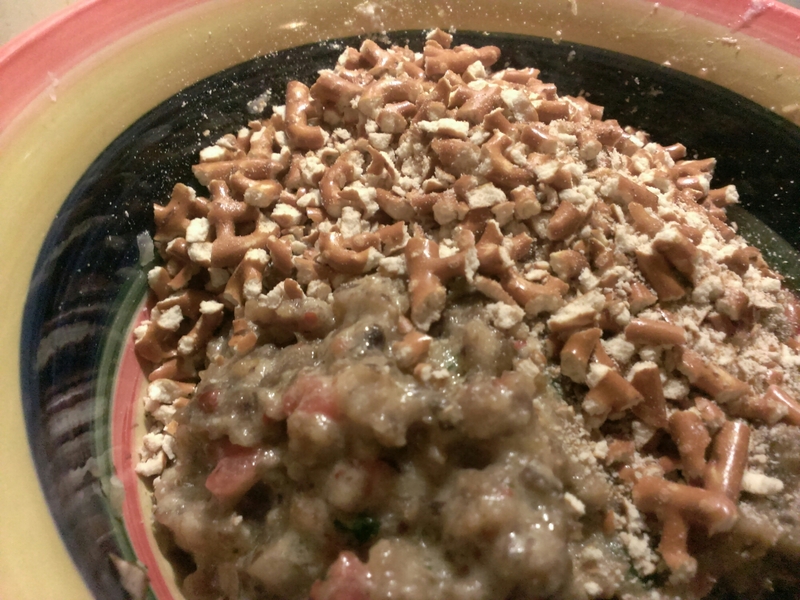 Transfer mixture to bowl and add crushed pretzels. Mix thoroughly. 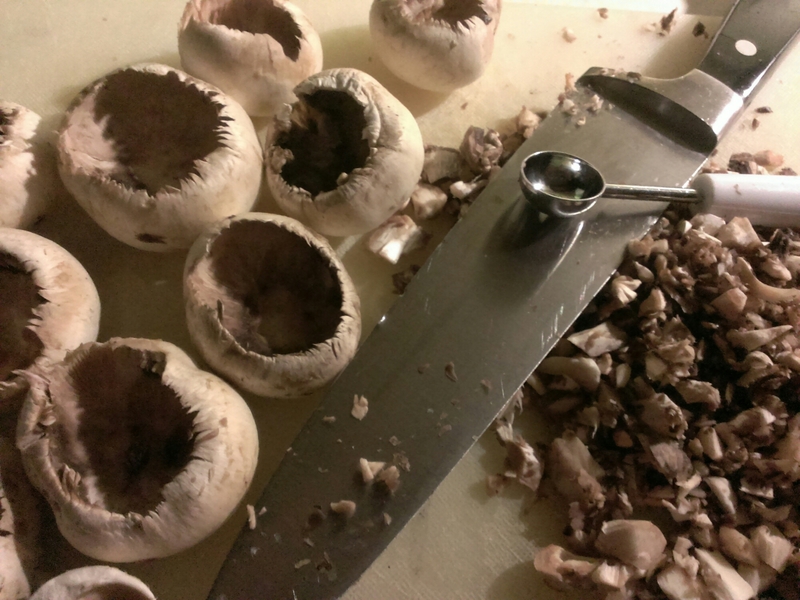 Fill hollowed out mushroom with mixture, pressing firmly and exceeding top of cap. 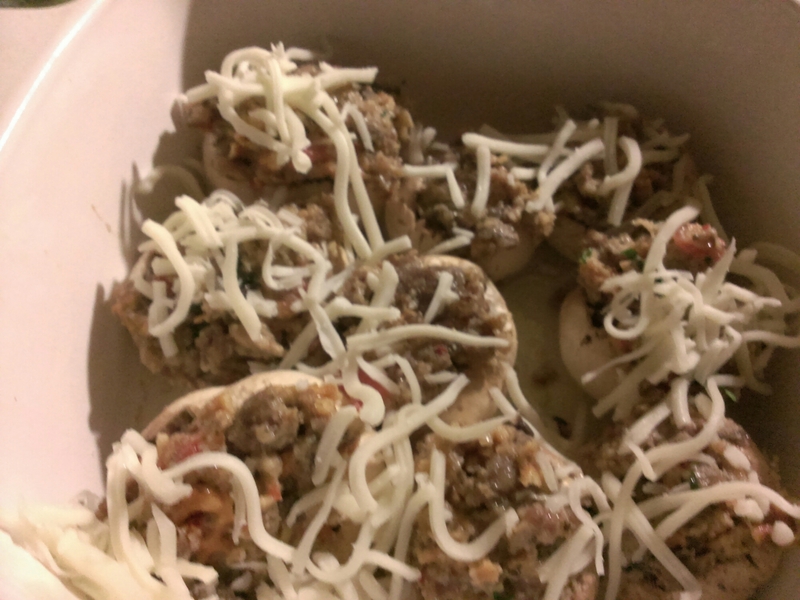 Sprinkle remaining cheese over stuffed mushrooms. 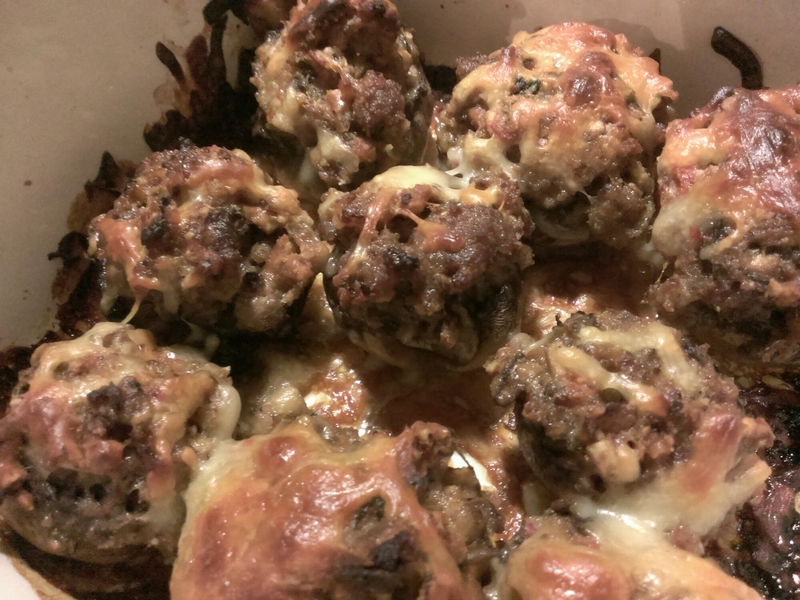 Bake, uncovered, in preheated oven for 20 minutes or until cheese is Brown. 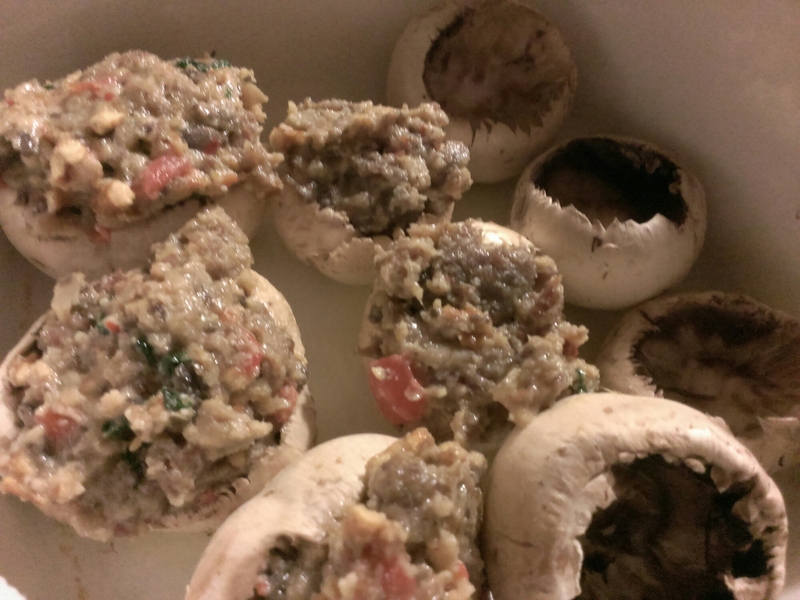 These freeze beautifully, so pack your lunch and freeze remaining mushrooms, once cool, in freezer safe container. 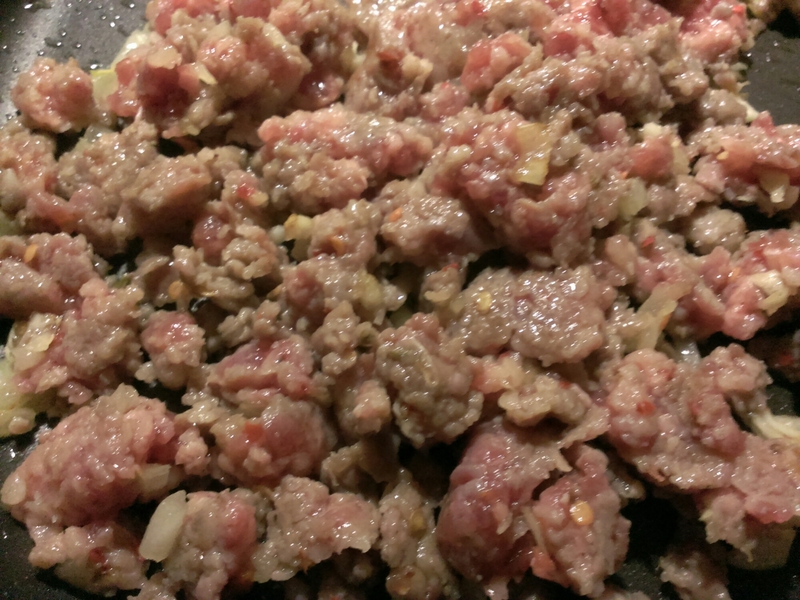 Freeze remaining stuffing mixture to us in lasagna, spaghetti or manicotti. 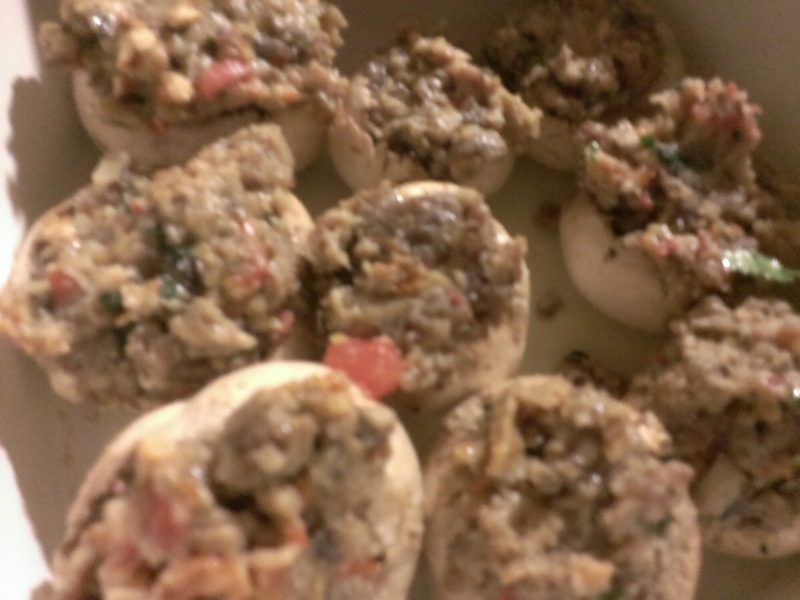 Impress your friends with this easy recipe from A Photographer’s Heart, aka Gina’s Culinary Adventures.